Rough road ahead for Chevy Volt ‘2.0’ ? The next-generation Chevrolet Volt has been revealed, and yes, it does look a lot like a 2013 Honda Civic (with a bit of Acura TL thrown in). With that admission out of the way, let’s explore the car itself, and the challenges it faces in today’s market. Chevy’s ground breaking Volt, first sold in the U.S. in late 2010, showed car buyers that a middle ground could exist between hybrids and full-electric vehicles – one that prevented range anxiety while still being as green as the owner wanted. Unusually proportioned at release, the Volt’s design quickly aged, and its exclusivity eroded as competitors began emerging in the form of plug-in hybrids and new EVs. While Tesla’s Model S has since provided the market with a truly viable long-range EV, newer plug-ins took the hybrid concept and added a longer all-electric range (via a larger battery pack). Sales of the first-generation Volt slipped in 2014. The Volt, which offered about 40 miles (65 km) of all-electric range, sort of split the difference between the plug-in hybrids and lower-end EVs like the Nissan Leaf. 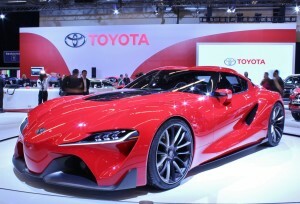 But the market has proven a tough one – for hybrids and EVs. Sales targets for vehicles like the Volt (as well as market share predictions for EVs) didn’t materialize, even though high gas prices accompanied the Volt’s introduction in late 2010 and continued until the latter half of 2014. 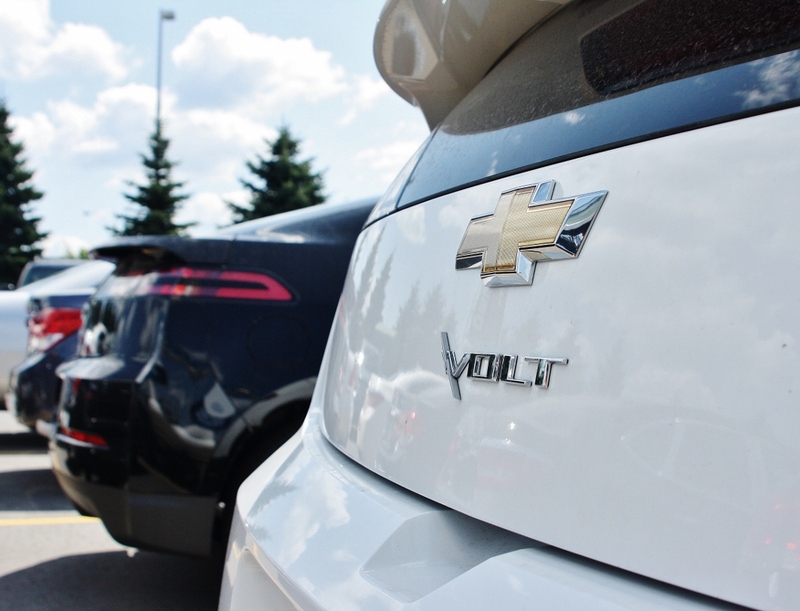 Sales figures show a marked drop in Volt sales in 2014 (18,805 U.S. sales) when compared to the two previous years (23,461 and 23,094 in 2012 and 2013, respectively). 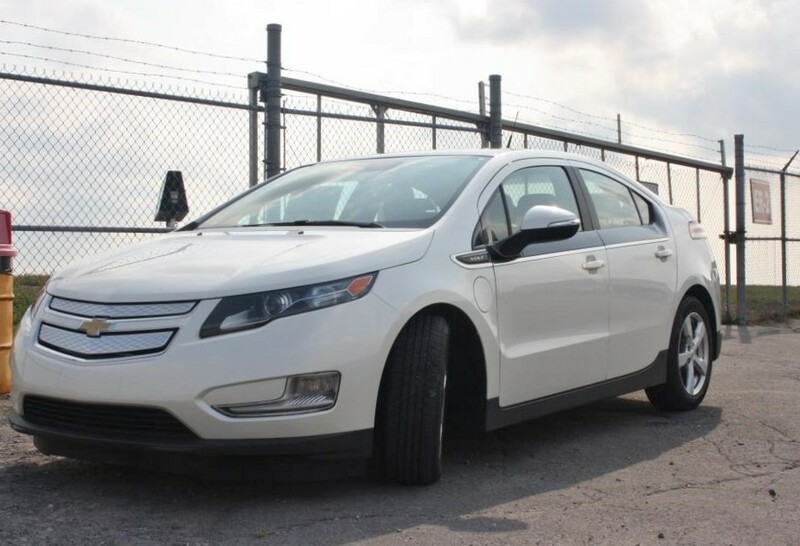 The Volt’s declining fortunes in 2014 could be attributed to a number of factors – increased competition, an aging exterior, and the oil crash late in the year. 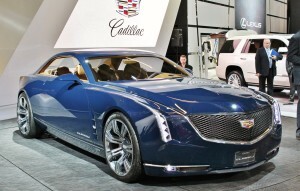 Whatever the reason, GM knew an update was needed and had an extensive re-work planned for some time. The 2015 Volt bows with a new (yet strangely familiar) body – certainly leaner and far less awkward-looking than before – as well as improved electric range and gas mileage. Acceleration is improved, and a fifth seat has been added to the interior. The Volt’s electric drive unit has shed 100 pounds, and its newly enlarged 18.4 kWh battery pack is now 21 pounds lighter, thanks to a fewer number of cells. Electric range has been boosted to 50 miles (80.5 km), with an improved total range of over 400 miles (644 km) made possible by a direct-injected 1.5-litre four-cylinder gas generator. In comparison, the first-generation Volt’s 1.4-litre unit returned worse mileage and ran on premium fuel. 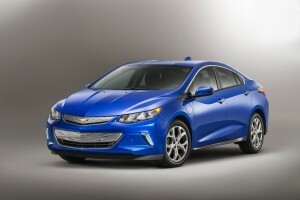 Chevrolet claims that all of these improvements came from suggestions posed by existing Volt owners. Clearly, those owners wanted some more low-end ‘oomph’, because the new Volt’s drivetrain launches the car to 30 mph (48.3 km/h) 19% faster than before. Owners of first-generation Volts were consulted during the design process for the 2016 model. When I test drove a Volt in 2011 I noticed that the low-end acceleration, while buttery smooth, was more tepid than I had been expecting. It gave the car a feeling of being slightly overweight. 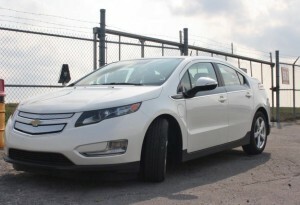 The boosted low-end grunt means a seven percent improvement in the Volt’s zero-to-60 (0-97 km/h) time. It now takes 8.4 seconds to reach highway speeds. As well, the Volt’s brakes have been swapped for ones that offers better regenerative braking ‘feel’, and its portable charging cord set has been redesigned to be simpler and more compact. No doubt many a Volt owner spent a very involved evening with his GM questionnaire. My crystal ball isn’t returning a prediction, because it doesn’t exist. If demand for hybrids and EVs were solely due to high gas prices, it would be safe to say the Volt – no matter how improved – will go over like a lead balloon. But that isn’t the case, and never has been. The relatively high cost of hybrids and EVs always outweighed the inherent savings in gas and maintenance, so oil and gas prices can’t be the sole determining factor. After all, while sales of the Volt declined in topsy-turvy 2014, sales of the Nissan LEAF rose compared to previous years. People who found the previous Volt an attractive buy back in 2010/2011 will likely think the new and improved Volt is that much better. 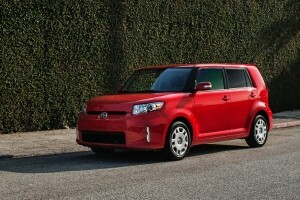 More versatility and more refinements equal an attractive car, no? While the 2016 Volt – which goes on sale in the second half of this year – won’t likely be remembered as a modern-day Edsel, it does have a tough slog ahead of it. 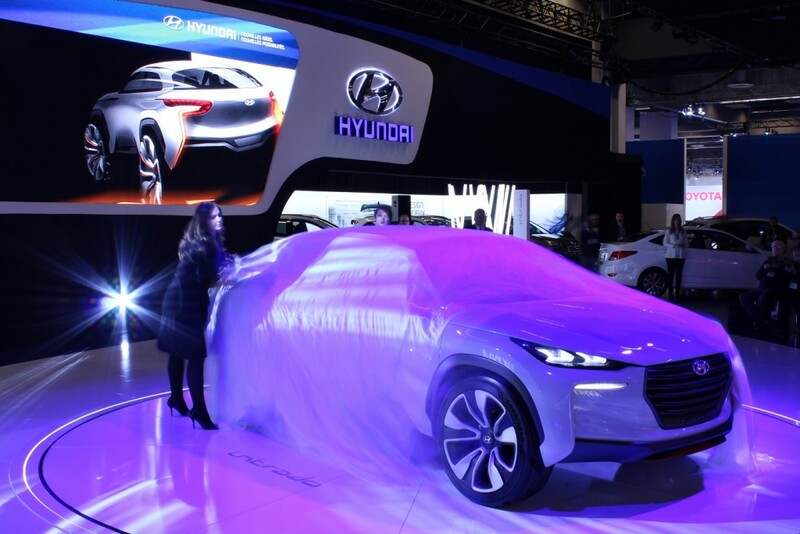 Beating away competition, both gas-powered and electric, while carving a thin slice of market share for itself won’t be any easier than it was five years ago. 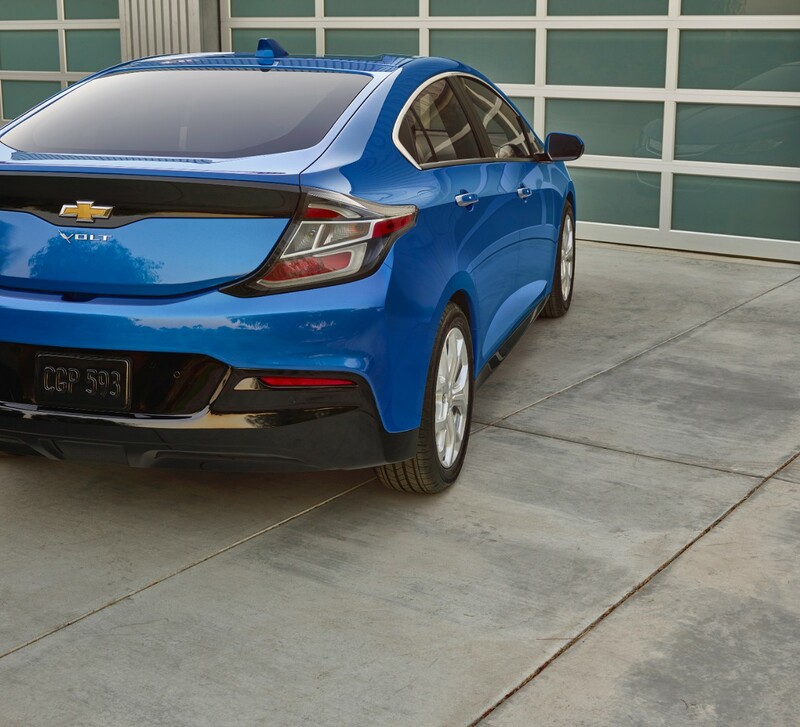 This entry was posted in News and tagged Chevrolet, Chevy Volt, General Motors, Volt on January 25, 2015 by Steph Willems. 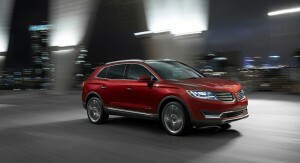 The MKX has finally grown into itself. 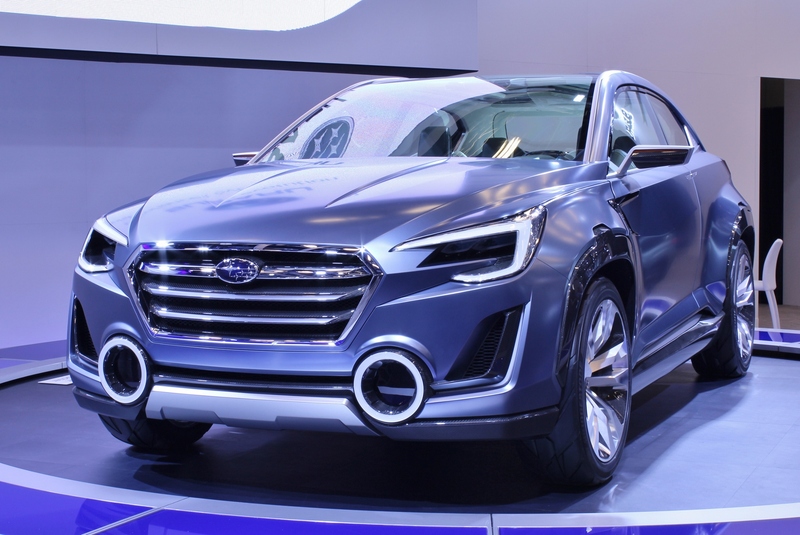 The Ford Edge-based SUV, which slots right in the middle of Lincoln’s utility vehicle lineup, has been identity challenged right from the beginning. Bowing in 2007, the MKX was clearly a tarted-up, badge engineering Ford that swapped front fascias and taillights for a 2011 refresh. The 2016 MKX, revealed earlier this month at the North American International Auto show in Detroit (and photographed here in Montreal) pushes its parent vehicle further away by adopting a clear, full-body styling job. It just so happens that the new MKX’s styling cues – flowing fender bulges, pronounced rear haunches, split grille and narrow, full-width taillights – are the same cues that adorn its smaller, well-received sibling, the MKC. 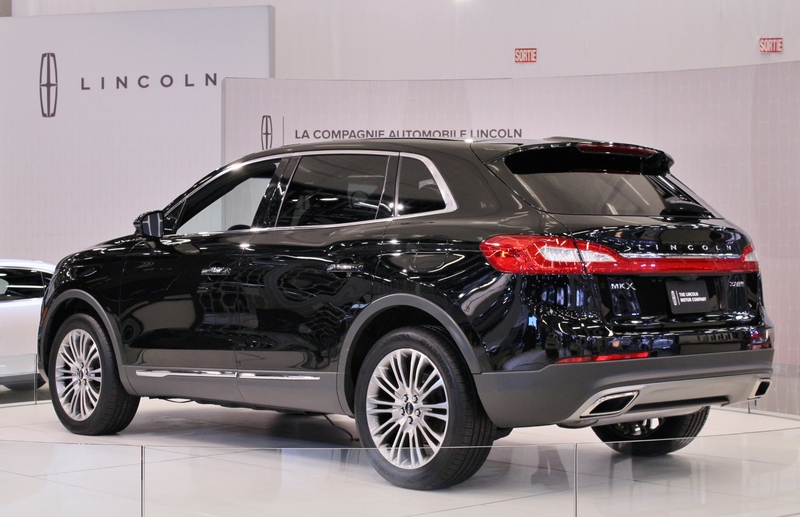 Clearly, head brass at Lincoln saw they had something good going with the MKC and applied the same touches to their wayward mid-sizer, thus giving the brand a more cohesive design language. The styling is careful and understated, yet still pleasing to the eye, and no longer resembles a Ford with a Lincoln badge. Under the hood, Ford’s 3.7-litre V-6 returns as the standard engine, making a projected 300 horsepower and 280 foot-pounds of torque. The upgrade will be Ford’s new 2.7-litre EcoBoost V-6, a twin-turbo unit that Lincoln says makes 330 horsepower and 370 foot-pounds of torque (based on early data tests). This is the engine that Ford is touting as the mileage-making upgrade in its newly lightened, aluminum-framed F-150 pickups. Both engines will be mated to a 6-speed automatic transmission with push-button shifting (because buttons = luxury, obviously). Fender bulges, more pronounced rear haunches and full-width taillights class up the new MKX. 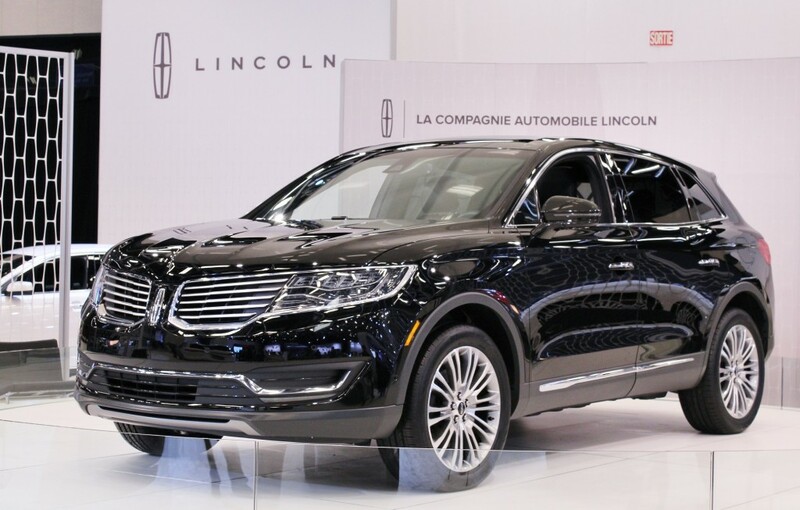 The long-awaited, oft-mentioned Lincoln resurgence appears to be happening, with 2014 sales numbers showing a definite uptick in U.S. sales compared to the five stagnant years that came before it. The MKZ sedan and MKC utility get most of the credit for renewing interest in the flagging brand, but if the MKX’s new look impresses in the same way as its smaller stablemate, it can only help sales. The restyled model’s popularity remains to be seen (it goes on sale this summer), but it’s still nice to see Lincoln becoming more cohesive and self-assured as a brand. This entry was posted in News and tagged Lincoln, Lincoln MKC, Lincoln MKX, Lincoln MKZ, Lincoln Motor Company on January 23, 2015 by Steph Willems. 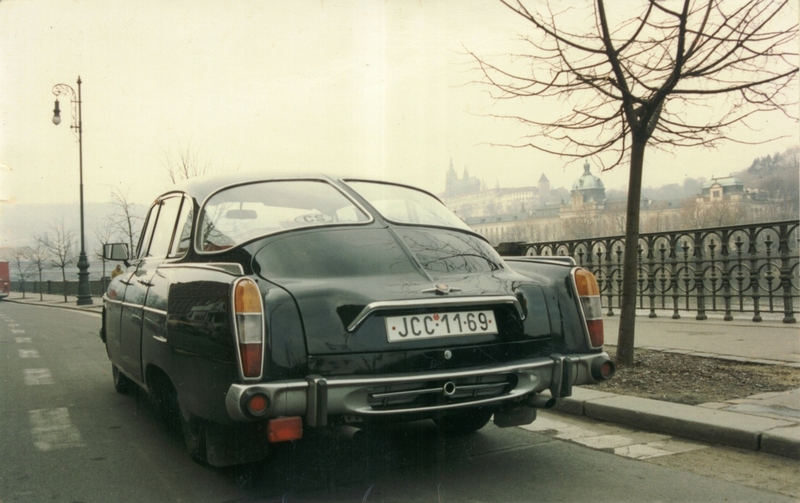 There are few old car films quite as surprising and joyous as this unlikely clip from 1962 Czechoslovakia, featuring the amazing abilities of the Tatra 603. It’s so good, it just has to be shared as widely as possible. The Tatra 603 was an odd high-end vehicle manufactured in limited numbers for Communist Party officials and other ruling-class members from 1956 to 1975. Powered by a 2.5-litre, air-cooled V-8 mounted behind the rear wheels, the car was blessed with unusual traction and handling capabilities. 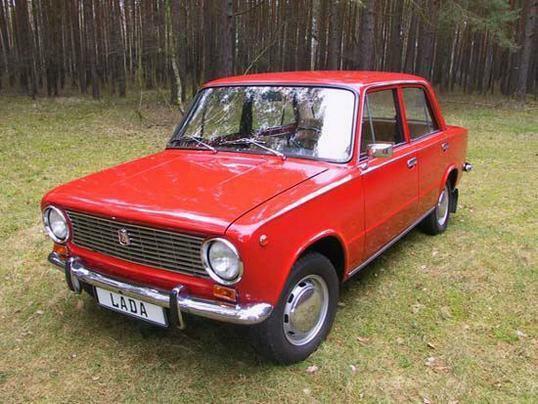 Yes, this Eastern Bloc sedan seems to be able to do it all – slalom, jumps, mountain-climbing, rollovers, river-fording – all while keeping its impeccably dressed occupants comfortable and safe. Not speaking Czech, I’m not quite sure what’s going on in this tale, but the words on the covered-up license plate would probably shed some light. 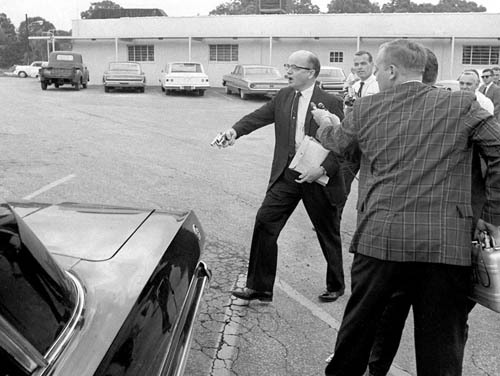 I assume a father, his daughter and their chauffeur are going joyriding, shake their cop tail, then pretend Mr. White Gloves is a stuntman when the heat catches up. Sporty and subversive all at once. The original promotional clip, titled ‘Happy Journeys,’ runs about 12 minutes. The joy of this clip is that the skillful driving (and editing) of the original film is boiled down to its essence and mashed with an uplifting pop song that seems custom made for the Tatra’s soundtrack. Watch and enjoy, and marvel at the car that does it all. By the end of the five-or-so minutes, you’ll be wishing you were behind the wheel of one of these superhuman Cold War sedans. 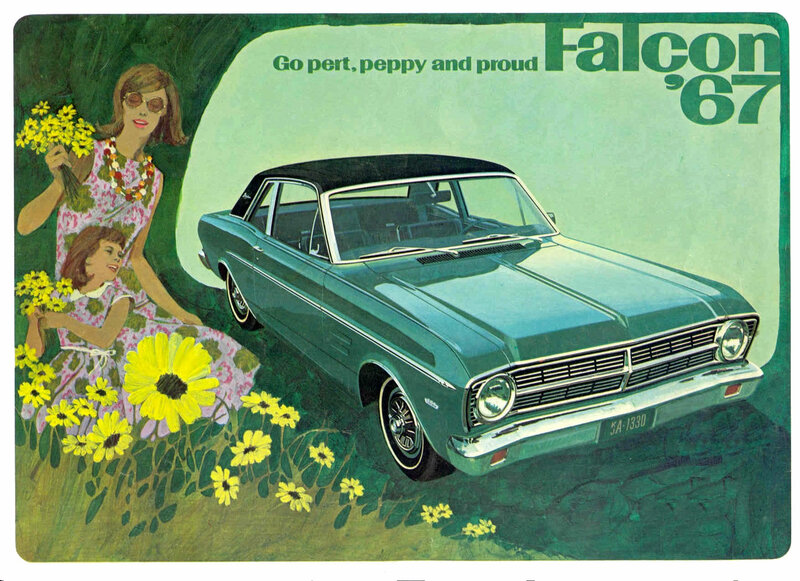 I found the design of the fastback car – with its upside down bathtub front and bizarre headlight configuration – grew on me before long. 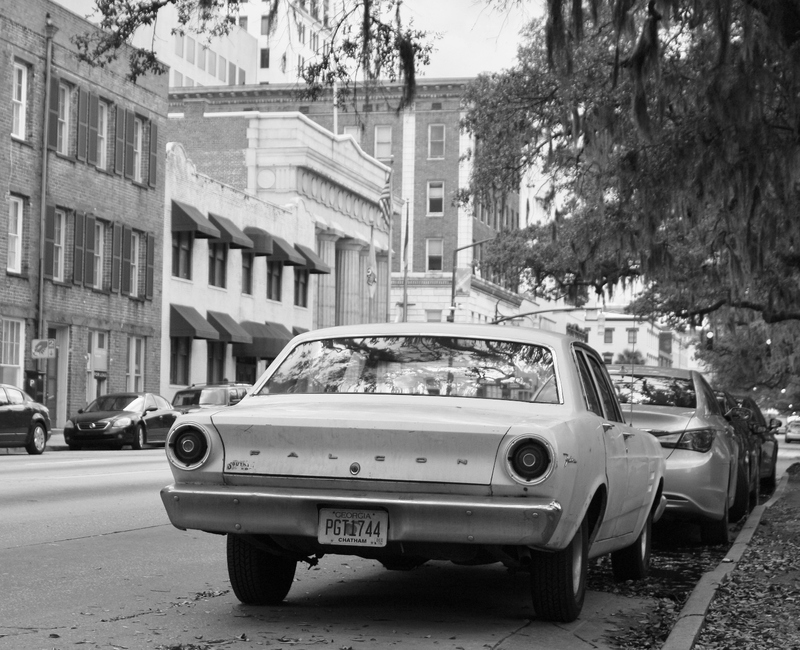 The film seems timed to introduce the second version of the 603, which came out in 1962 and featured two conjoined pods of two recessed headlights each. The initial model had three headlights (the middle one turned with the wheel) located in the centre of the front end, while the third model (1968-) pushed apart the headlight pods to their normal locations. Tatra, which started life as (wait for it) Nesselsdorfer Wagenbau-Fabriks-Gesellschaft A.G., was a central European carriage maker in the mid-19th Century and produced its first gas-powered automobiles in 1897. A long line of successful vehicles followed, including the radical, streamlined Tatra 77, introduced in 1934. Designed with the help of an aeronautical engineer who had worked at Germany’s Luftschiffbau Zeppelin company, the 77 was an ultramodern vehicle incorporating a tube frame, lightweight alloys, and an advanced, rear-mounted V-8. Though the company still manufactures heavy trucks, the last Tatra passenger car – the T700 sedan – ceased production in 1999. Throughout the company’s history its car sales remained pretty regional, with no buyer uptake occurring in western Europe – even after the fall of the Berlin Wall. This makes all Tatras, including the shapely 603, rare beasts on any road or at any car show. Which is a shame – not only are they unique, just look at how much fun their occupants can have! This entry was posted in Uncategorized and tagged Tatra, Tatra 603 on January 7, 2015 by Steph Willems. End-of-year sales figures are in, and it seems the people who didn’t buy a new car this year could all fit on a short-wheelbase bus. 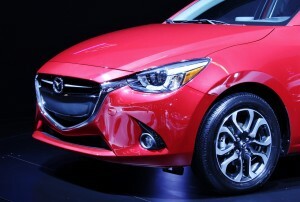 2014 turned out to be a boffo year for the automotive industry, and for American manufacturers, too – automakers who just a half-decade ago were questioning whether they’d survive to see the 2010’s. 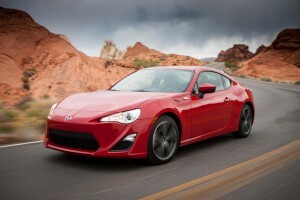 In Canada, overall sales were up 6% over last year’s totals, and rose an astonishing 16% in December. In the United States, sales also rose 6% in 2014, and 11% in the month of December. 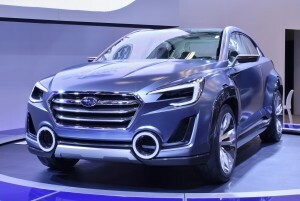 In Canada, the top three companies turned out to be the Big Three, with Ford Motor Company on top with 15.8% of the market, while Fiat-Chrysler took 15.7% and General Motors snagging 13.5%. 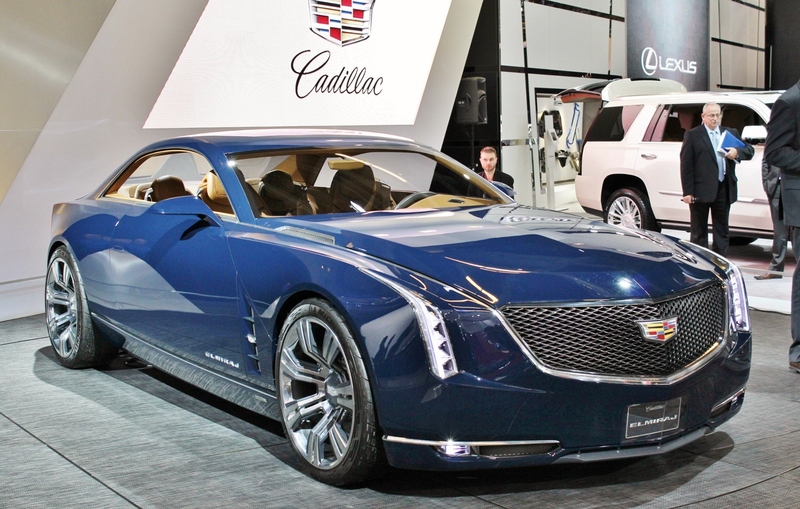 In the U.S. of A, GM was on top of the corporate sales ladder with 17.8% of the year’s market share, followed by Ford (14.9%) and Toyota Motor Corporation (14.4%). In terms of brands, Canadians were most partial to Ford, which saw sales rise by 39.5% for December (compared to Dec. ’13) and 2.7% for the year. Honda and Toyota took 2nd and 3rd place, with Chevrolet and RAM rounding out the top five. South of the border, Americans also found themselves drawn to Ford the most (thought the annual tally dipped by 1.1% over last year), followed by Chevrolet, Toyota, Honda and Nissan. 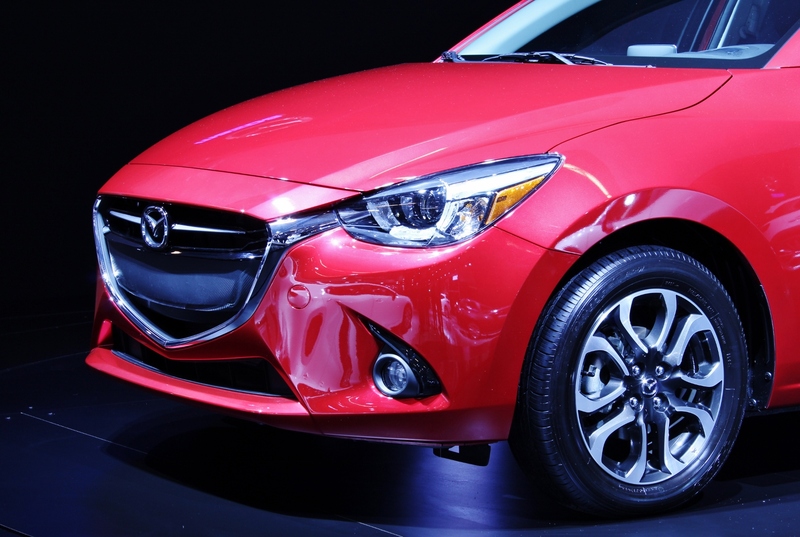 Other automakers also had strong showings this December compared to last. 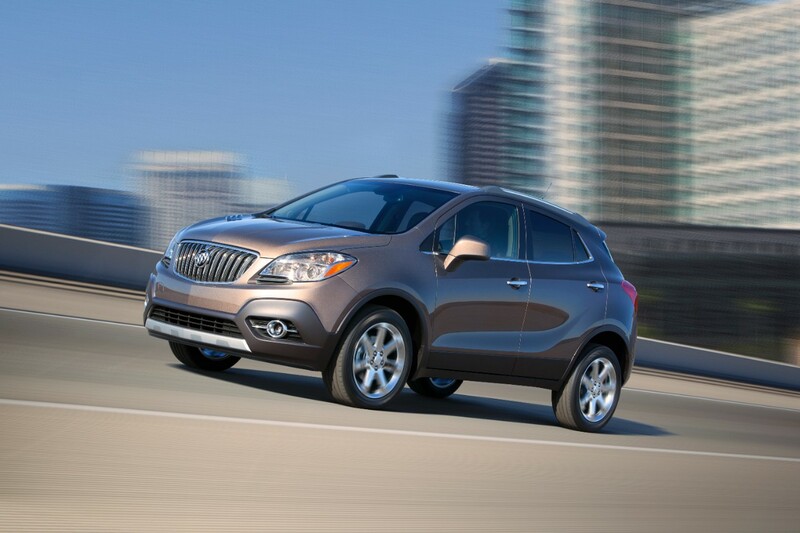 Buick saw Canadian sales rose 64.9%, finishing the year 31% higher than 2013. Chrysler sales shot up 86.9% in the Christmas month, though overall sales were down slightly (2.9%) for the year. Even the Lincoln brand, which seemed (until recently) to be as endangered as GM and Chrysler were in 2008, saw positive sales gains. In Canada, the luxury brand saw a 61.4% boost in December, finishing the year 17.3% higher than last. 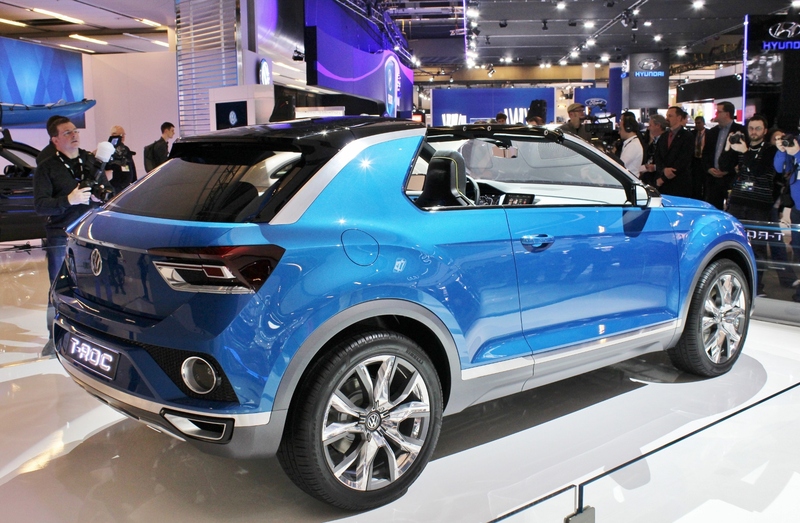 In the U.S., Lincoln saw December sales rise 21.4% over 2013, with an annual total 15.6% higher. Interest is being rekindled in that storied brand, it would seem. In a game with winners and losers, there always has to be a downside – even with buyers running to dealerships en masse, cash in hand. 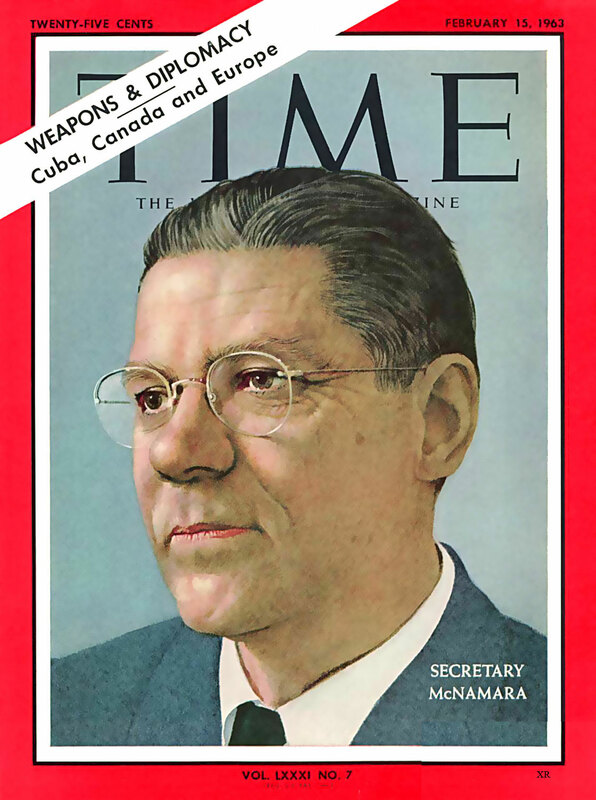 This past month – and this past year – the loser was Scion, the Toyota offshoot that appears to be headed the same direction as the Lusitania. With December sales down 30.7% in Canada and 11.7% in the U.S., drastic action will be needed to reverse this trend and keep the brand afloat. 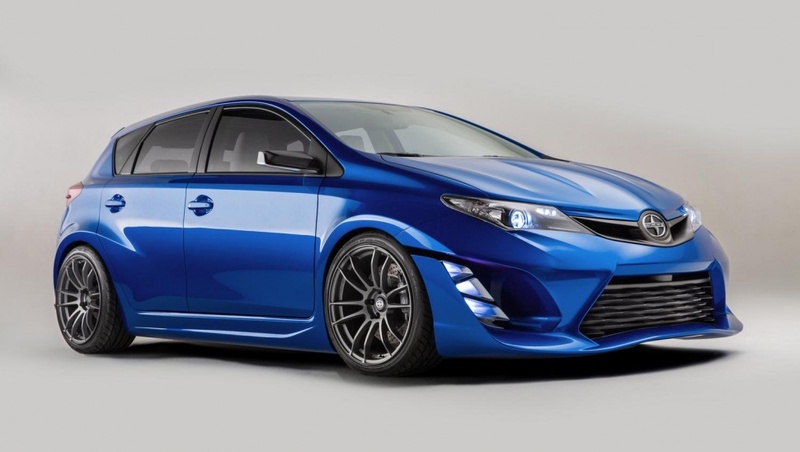 The annual sales loss for Scion works out to a drop of 20.4% in Canada and 15.1% in the U.S.
A sporty, 5-door hatch scheduled to be released in 2015 might change things, but I’d say more models are needed to bring the brand back to visibility. Crystal ball types are predicting that it will be difficult for the industry to maintain this level of sales next year, which isn’t all that surprising. At some point, the amount of new cars already bought, and the amount of people who can’t afford them, will conspire to reach a sales plateau. My not-too-brilliant prediction: with oil prices plunging, expect growth in the truck and SUV categories this coming year. 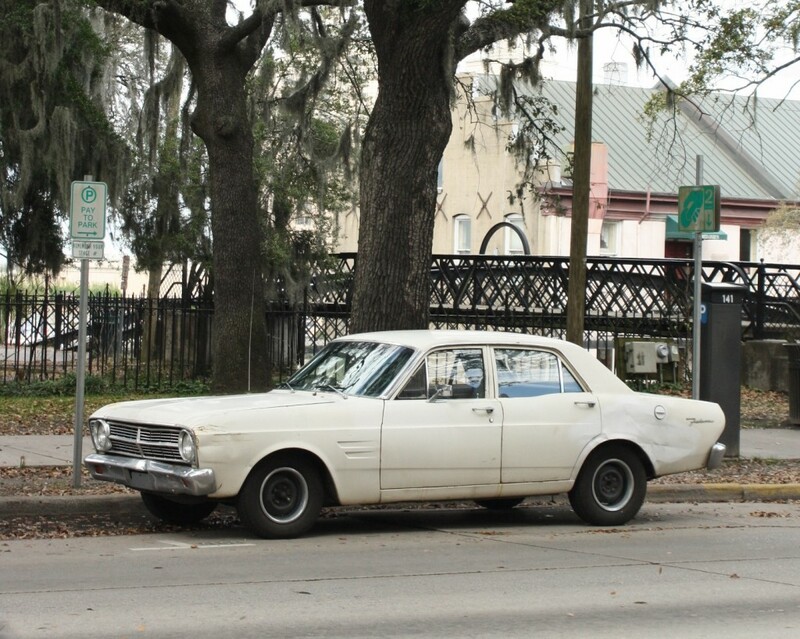 This entry was posted in News and tagged Buick, Chrysler, Fiat-Chrysler, Ford, General Motors, GM, Honda, Lincoln, Scion, Toyota on January 6, 2015 by Steph Willems. 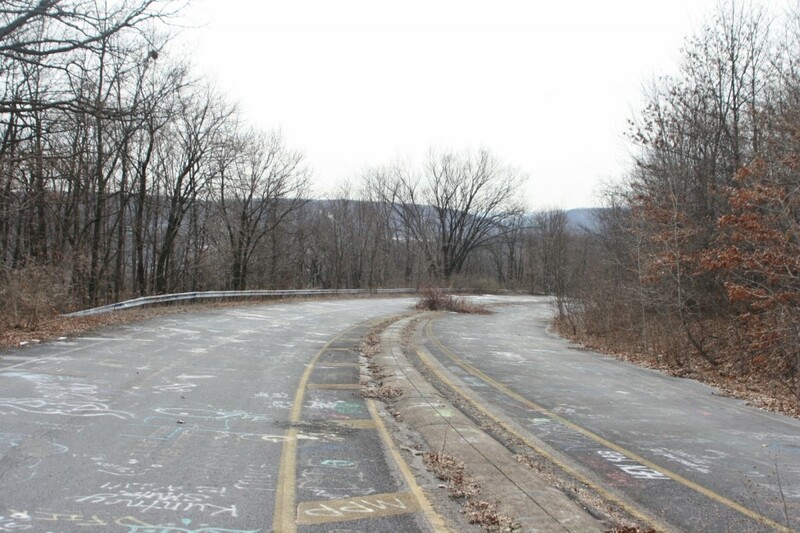 Pennsylvania’s abandoned Route 61, one mile south of the equally abandoned town of Centralia. With an old year giving way to a new one, it’s customary to reflect on the experiences of the past 12 months. Those experiences include drives, and this year your humble author saw plenty of them. 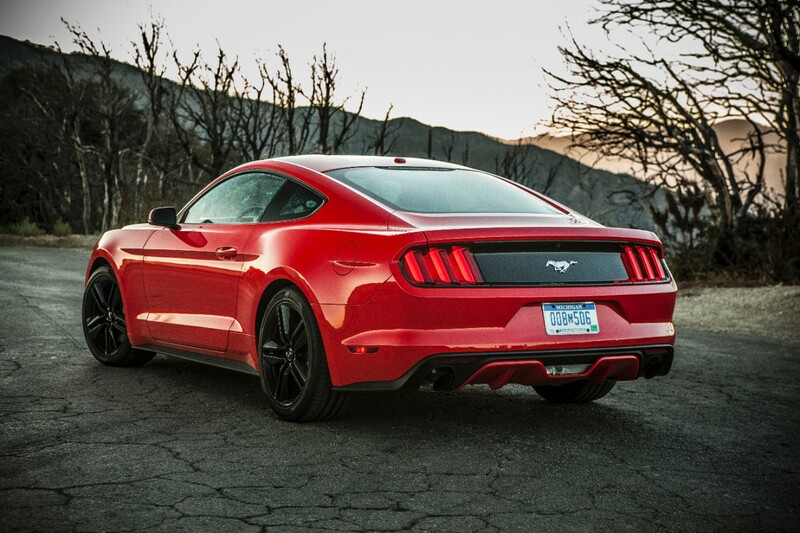 From the sunny coast of Georgia to the majestic mountains of British Columbia, 2014 delivered when it came to motoring. But, as nice as the highways in those picturesque locales are, only one gets an end-of-year story devoted to it. And the ultra-worthy roadway of 2014 was chosen not for its views or its twists and turns, but for the fact it can’t be driven on. Heading north from Ashland, Pennsylvania. Notoriety trumped scenery this year. If the large picture and descriptive caption above somehow escaped your attention, I’m talking about the seriously unsexy Pennsylvania Route 61, or more specifically, the portion immediately south of the town of Centralia. ‘Town’ is a misleading word, because Centralia, once home to over 2,7000 hardy souls in the 1890s, currently contains about seven people. The ghost town the bustling community became still exists on some maps, but resides more in memories and in the pages of history books. You see, Centralia, a once-prosperous coal-mining community nestled between rolling ridges about equal distances from Harrisburg and Scranton, had the bad luck of catching fire… gradually… underneath it. 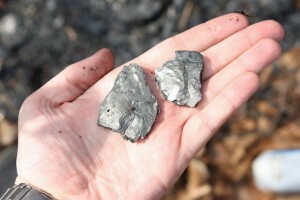 Shiny, pure anthracite coal is everywhere in Centralia – in ditches, on hillsides, and on fire deep below the town’s surface. Perched atop an expansive subterranean spiderweb of high-grade (soot-free!) 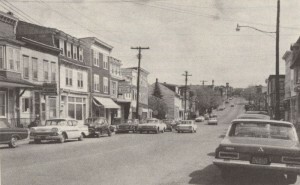 anthracite coal, the town remained unaware of its eventual fate for nearly two decades. The ignition of the fire wasn’t an exciting event. Sometime on or around Memorial Day, 1962, a trash fire (or discarded ashes) at the town’s landfill ignited an exposed coal seam, starting an underground fire that even now is predicted burn another 250 years. The townsfolk started to get wise to the growing danger in the late 1970s. Underground gas tanks began heating up, air quality plummeted due to carbon monoxide, and eventually – in 1981 – a young boy plunged through the street and into a FIERY CAVERN TO HELL while riding his bike. He was just fine! Really! Having just enjoyed a whole decade filled with high-profile pollution issues and man-made ecological disasters, the news media focused like a magnifying glass on little ol’ Centralia. The town that no one outside of central Pennsylvania had ever heard of became a household word, which (like Love Canal, N.Y.) was now synonymous with a creeping industrial disaster. Cries for somebody to “do something!” grew in the wake of the media exposure, and in 1984 the U.S. Congress voted to approve $42 million for relocation efforts. In the years that followed, residents of Centralia allowed themselves to be bought out and moved to the nearby communities of Mount Carmel, Ashland or Frackville. 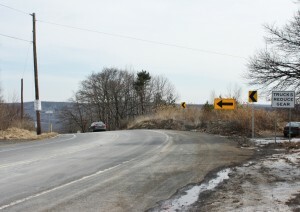 Pennsylvania Route 66 diverts abruptly past the berm blocking the abandoned Route 61. 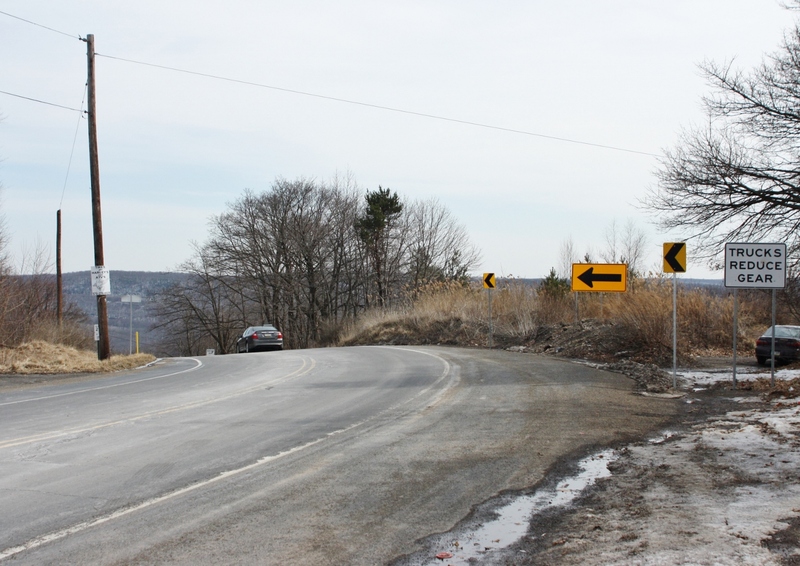 A few holdouts (seven, according to estimates) remain to this day, even after the state of Pennsylvania invoked eminent domain in 1992 on all remaining homes in the town. The state highway that ran through Centralia was also undermined by the constantly shifting coal fire, which would pop up near the surface in random areas only recede to a new locale. 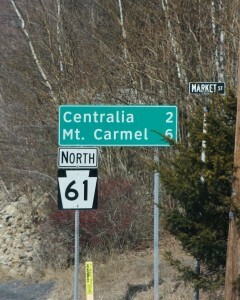 Efforts to repair the damaged road surface were eventually abandoned, and a mile-long section of Route 61 immediately south of Centralia was closed off and crudely bypassed by a new Route 66 in 1993. 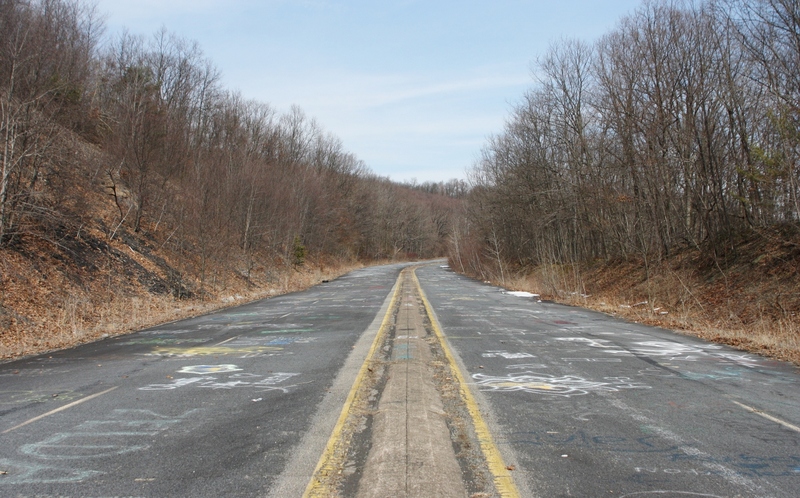 Abandoned in 1993 after multiple repair attempts, Route 61 is an apocalyptic paradise. The abandoned stretch of highway is spooky even in the best of weather, and is something of a tourist attraction, drawing photographers and graffiti (both professional and lewd) to its cracked surface. 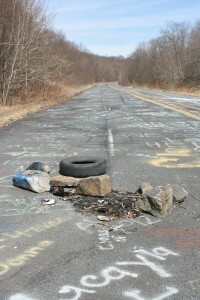 The highway and town, both bordered by deep, dark woods, are now ideal shooting locations for desolate music videos or post-apocalyptic films (the 2006 horror film Silent Hill was inspired by Centralia’s plight). Just watch out for that massive, underground coal fire. A visitor to Centralia will quickly notice that on the ground everywhere – on wooded slopes or next to roadways – is the substance that spawned the town and ultimately caused its demise. Coal. Shiny, flaky anthracite coal, which powered the blast furnaces, locomotives and steamships of America during its 19th Century industrial expansion. Coal, still mined in small quantities nearby, which heated homes and public buildings in large numbers well into the 1980s and is still in limited use today. The land that giveth also taketh away. Coal Country, U.S.A., and the site of one of the country’s most notorious environmental disasters. This entry was posted in Musings and tagged Centralia, Pennsylvania on January 2, 2015 by Steph Willems.